There is an inner conflict that I believe I have finally settled, between being a New York Jets fan and a passionate Wesleyan employee. While the Jets will never peer over the line of scrimmage and see a group of 11 Wesleyan Cardinals staring back on defense, they will look across the field and see a Wesleyan graduate on the sideline at least twice this season. Wesleyan boasts alumni in every field, from film (Joss Whedon, Michael Bay, etc.) to politics (John Hickenlooper Jr., Peter Shumlin) to the chief wine critic for The New York Times (Eric Asimov). Perhaps the most well known though, is Bill Belichick, the current head coach of the New Patriots and a three-sport athlete at Wesleyan University in the class of 1975. Belichick played football, squash and lacrosse in his time as a Cardinal. He has, of course, gone on to more than modest success post-graduation, winning four Super Bowls with the Patriots and earning the unofficial distinction as the best football coach of our generation. As a fan of the Jets, I should have a disdain reserved for Belichick that maybe only Richie Kotite and John Idzik have seen recently. I don’t though. I certainly hate when the Jets get beaten up on by the Patriots, but I think I’ve finally come around to the fact that instead of disliking Belichick, I actually have a ton of respect for his competitive fire and long-term success he has achieved with a previously dilapidated franchise. For the sake of full disclosure, as the article states, Belichick is close with our athletic director Mike Whalen and gives back to Wesleyan in different ways. 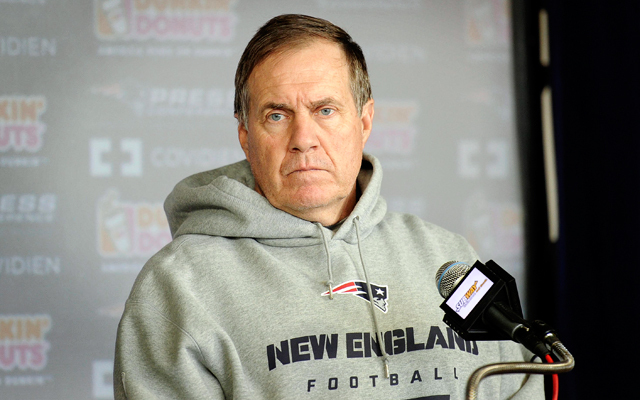 Only having worked here for a bit over a month and not having been directly benefitted by Belichick, I’m coming around on the coach, not thanks to my new employer, but because of the no-nonsense way he goes about things and gets the job done. I loved the way he broke down film as a 10-year-old, the way he avoids distractions at all costs and his precision in coaching every player on every little detail. The article talks about a moment when Heath Evans took an “imprecise angle” on a block during a kickoff return and how not only did Belichick notice the mistake in live action, he corrected it himself. Most coaches would not only have missed that until seeing it on film days later, but those that did see it would have passed it off to a special teams coach more often than not. I don’t see it as micro-managing, but rather accountability and attention to details. If you see a mistake, correct it, whether that mistake allows a touchdown or has no effect on the play. As for the cheating accusations, I have no real evidence either way. Deflategate was sorted out (sort of) and certainly inquisitive minds may want to further explore ESPN’s findings about past filming practices, but I find it hard to believe that following all the scrutiny being placed on his organization, Belichick and the Patriots would have messed with Mike Tomlin and the Steelers’ headsets in week one. Forget the cheating though. Even if Belichick was not playing by the rules, the culture he has created and nurtured is amazing. It’s completely based on selflessness and winning and putting the team first, second AND third. The next-man-up mindset is remarkable (see Troy Brown playing cornerback and Matt Cassell going 11-5 in a season as quarterback). His players seem to love him and he has been the driving force behind one of the two greatest quarterbacks of our era. So sure, like the article says, let the media and fans form their opinion of Belichick and tell his story. I’m going to stay out of it as well. All I’ll be doing is studying the mastermind’s motivational techniques, and culture formation and habit-building plans. This entry was posted on September 17, 2015 by Coach Sass in Coaching, Pratt/Wesleyan/Bard.